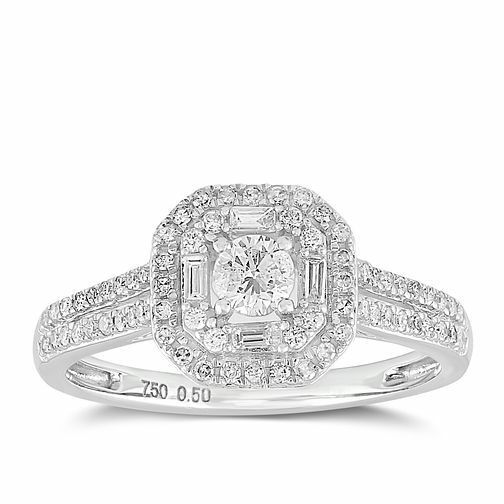 A diamond ring totalling 1/2ct, this design is set to sparkle with every turn. Sparkling shoulders present a duo of dazzling diamond rows, building up to the sensational centerpiece. With a round diamond taking center-stage within a cushion shape halo, with a divine mix of baguette and round diamonds.